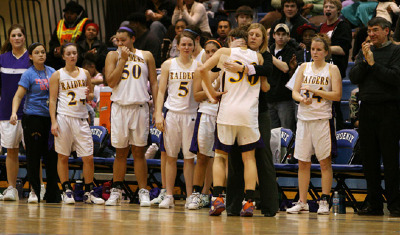 Alyssa Karel, Cretin-Derhan Halls' brilliant senior point guard, NO. 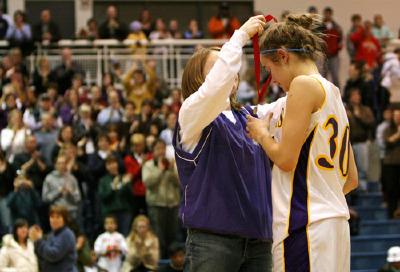 30, played her last high school game. 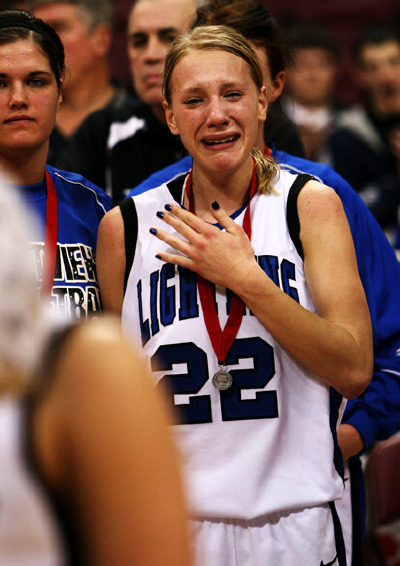 The team leader walked off the court to a standing ovation. 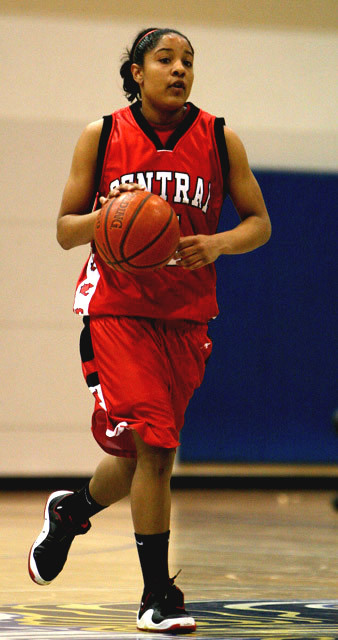 Central won 97-58. Karel will play at Wisconsin next year. 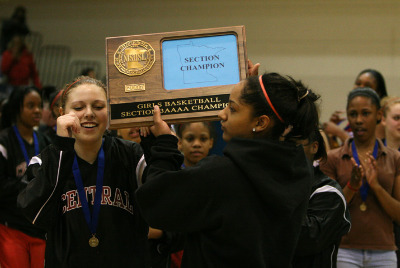 Central advances to State as the # 1 seed. Angel Robinson, NO. 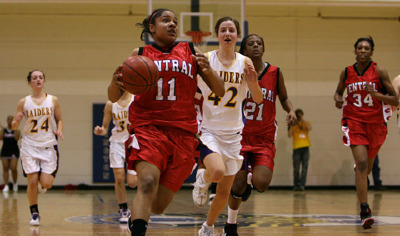 11, was unstoppable in the open floor. Robinson finished with 20 points. NO. 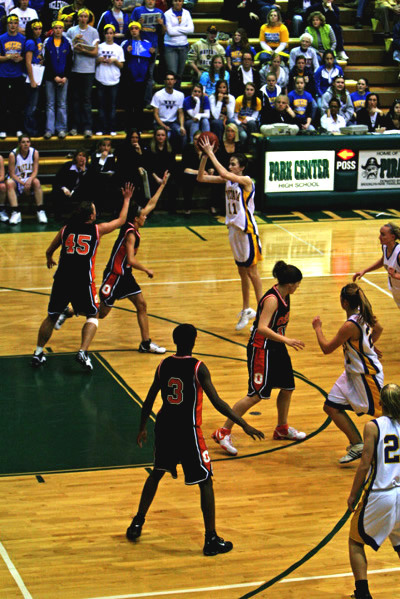 34, Georgie Jones, aka "Lady Eraser" grabs a rebound. NO. 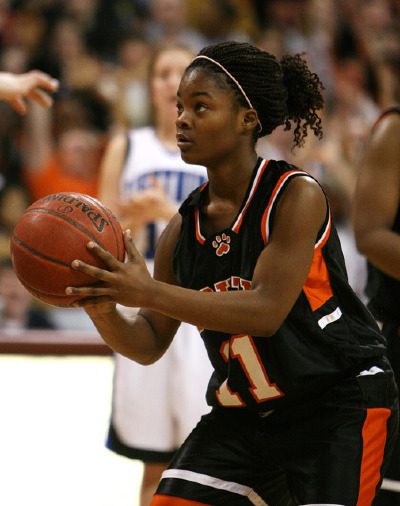 35 Loren Young scored a game high 26 points as the Lady Hornets advanced to the state tournament. Champlin Parks' Coach Carl Pierson is a master motivator. All season, the team has been ready for big games. Friday was no different. 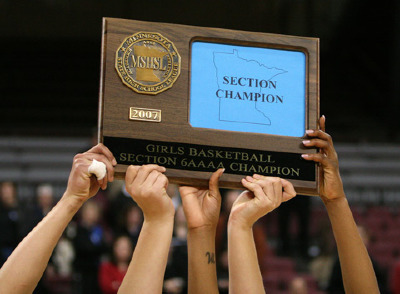 Champlin Park advanced to State, with a 74-68 victory over Blaine. 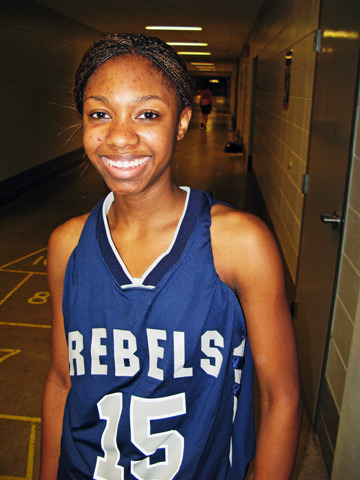 Senior Guard Ashlynn Fuller scored 15 points for the Lady Rebels. 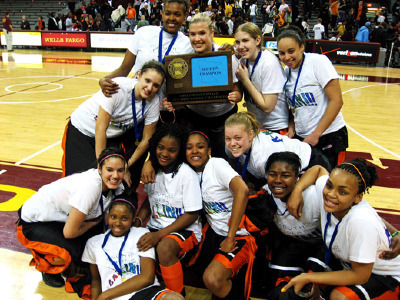 Osseo advanced to State with a 68-58 win over Wayzata. 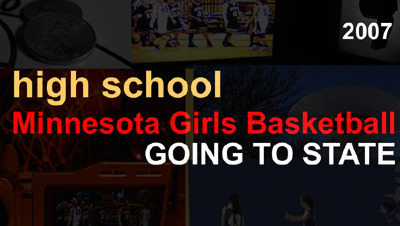 But the big buzz around town was the play of Wayzata's 6'2" Sophomore Kate Thompson. 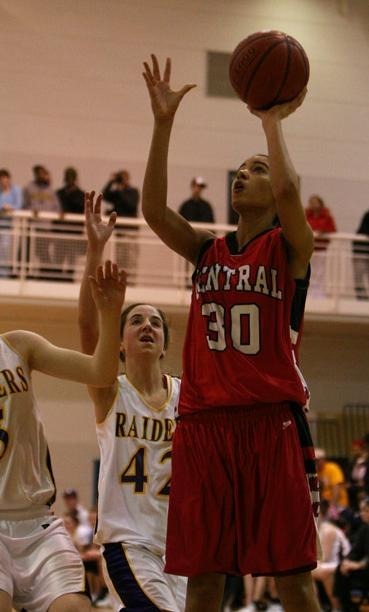 At 6'2" Thompson can play the point, shoot from downtown and play in the paint. Look for Thompson to get long looks from major colleges around the country. 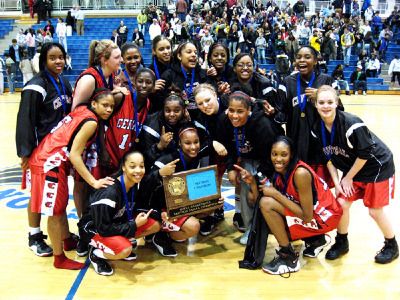 Minneapolis South three-guard-offense, of Tayler Hill, Ephesia Holmes and Freshmen Tyisha Smith, was too much for Eastview to handle. Smith's biggest impact was on defense. 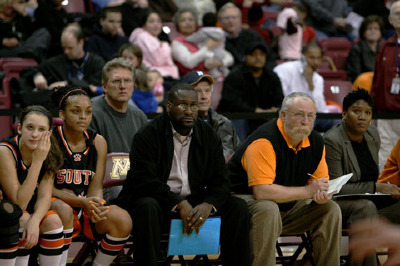 Smith created havoc and played her best in the biggest game of the year for the South Tigers. South's Head Coach Ahmil Jahad was visibly pleased with the win and the chance to compete in the State Tournament. 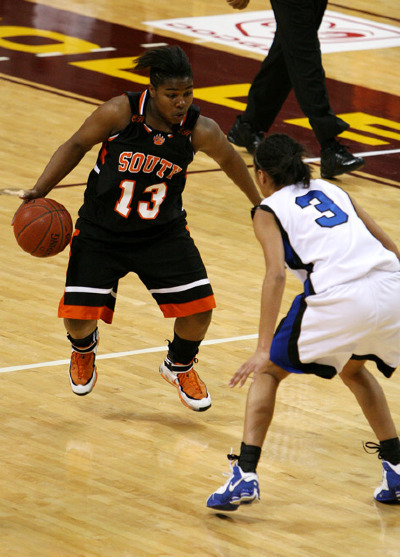 Eastview's brilliant Point Guard Brittney McSparron finished with 29 points.